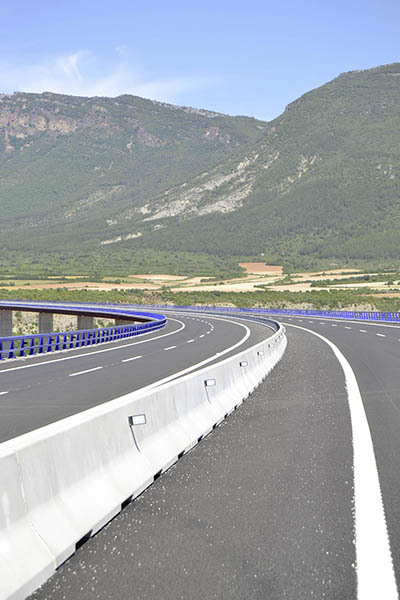 concrete elements to provide passive protection on roads and motorways. to make sure we are always one step ahead. We apply all our knowledge to protect human lives. REBLOC® combines over 100 years of experience in manufacturing concrete elements with the latest innovations and concepts for modern vehicle restraint systems. Patented REBLOC® technology enables you to meet the most stringent safety specifications and offers a wide ranging system that is a benchmark in terms of rapid installation and cost effectiveness. As an autonomous company within the Oberndorfer Group, REBLOC® develops, produces and sells state-of-the-art precast concrete vehicle restraint systems to enhance traffic safety on roads worldwide. The wide-ranging system offers optimized solutions in all relevant areas of application. In line with our industrial background, REBLOC® is a provider of cost effective and reliable products for implementation in large volumes. REBLOC® delivers on safety and cost-effectiveness. We believe our high quality, technically advanced, efficient systems make a considerable contribution to increasing road safety. All products are extensively tested according to European Standard EN1317 with real-life crash tests.